Before we started working with Josh Supanich to create a website for Fluid Concrete Designs, most of us didn’t know concrete could be so stunningly beautiful. 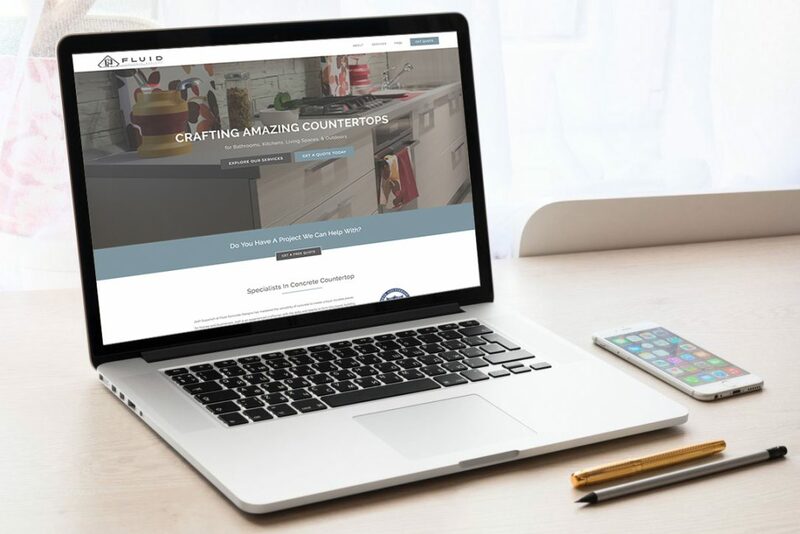 After spending a little time with Josh, though, we’ve seen firsthand how he transforms concrete into gorgeous countertops, vanities, bar tops, and more. It’s a pretty amazing process. While you’re on the site, be sure you scroll down to the Our Process section on the Home Page to see pictures of Josh working on a project. You’re also going to want to click on the FAQ page. Josh packs a lot of information into these questions and answers. As Josh finishes projects, we’ll add them to the website, so be sure you come back to the site to browse through his work. Click here to visit the Fluid Concrete Design website and discover for yourself why this building material is growing in popularity.